Puerto San Carlos, Baja, Mexico. 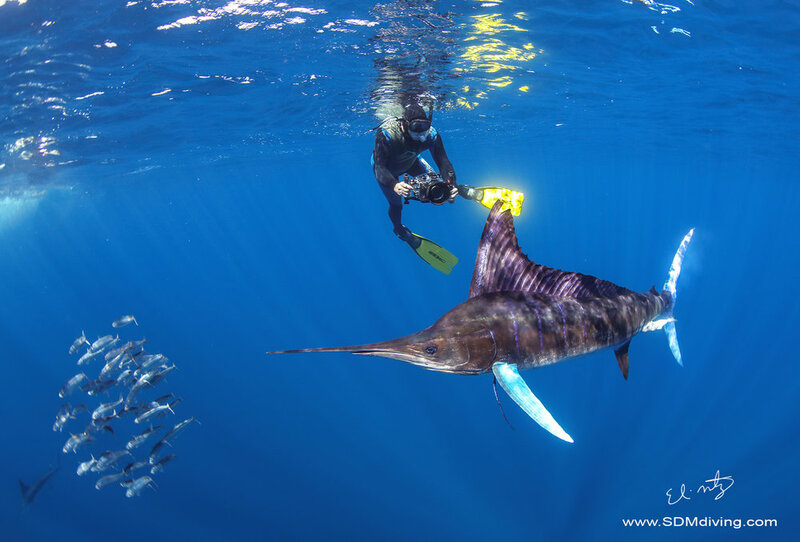 We just returned from our November 2018 striped marlin expedition off Puerto San Carlos, Baja, MX. We took two groups and spent two weeks out here. There were so many moments and I felt privileged to have experienced them. The first season we visited this amazing place, we had so many great encounters with striped marlin and the sea birds, however the second season we visited these waters, we also had sea lions that joined in on the bait balls, which added to the excitement and frustrations of getting good baitball action. Because the sea lions would push away the baitballs as well. But when they happened and we got static baitballs, it was EPIC. Here are a few of my favorite images from this season’s trip… Hope you enjoy them as well.